At VVF, we have always strived to innovate and make best use of technology, which is why it is also reflected in our motto and ideology. 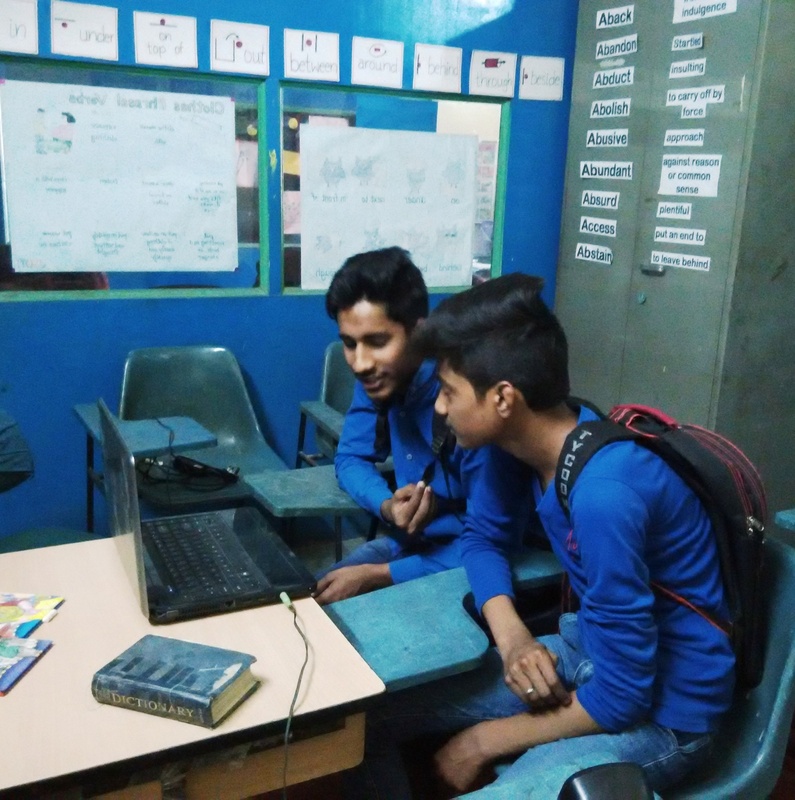 The latest example in the case is the use of Gloopen platform for connecting remote volunteers with the kids and youth in our Saakshar and Tarang programs.With features as Gloopad (a doodle pad available to all the participants) for writing and sharing pictures, playing music, interacting using games, the platform comes as a great educational tool apart from connecting the remote volunteers over a video call. The participants don’t need to share any of their ids or information. A simple link sent to their email address when clicked opens up the platform with all its features. Running a pilot with volunteers from Lady Irwin College, Apurva Ajmani and Garima along with the Gloopen team - Ranjan sitting in London and Arun from Dehradun- has been a wonderful and surely a learning experience. We have had sessions with younger kids from our Saakshar program aged 8-10 years where we have had them learn music notes, play games, draw shapes and learn phonetics all in a simple and fun manner. We have seen children laugh and enjoy and at the same time learn quickly while interacting with their “Gloopen mentors”. For the elder kids, our volunteers e-connect every Saturday afternoon to work on their English communication skills. Four students in the age group of 15-16 years are benefitting currently from this interaction and are simply loving it!! We would like to invite more volunteers to connect with these bright, enthusiastic young kids.If you have the will and some time, distance doesn’t matter we will connect you and mentor the young minds @VVF.